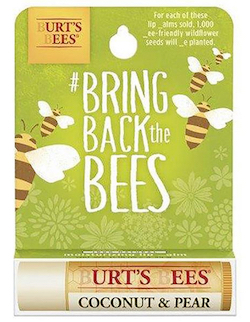 Sweet, juicy lips are always in season thanks to Burt's Bees Lip Balm with coconut and pear. This delectable moisturizing balm combines juicy extract of vitamin-rich pear with creamy, hydrating coconut oil. The light formula, with shea butter, makes lips feel soft, replenished and healthy.